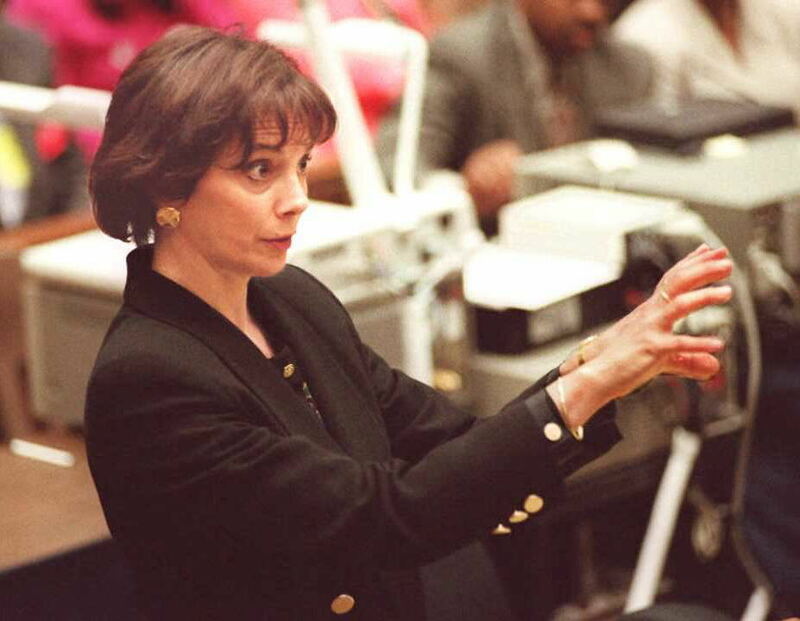 It’s something that many people can say with relative certainty today: The media was not always entirely kind to Marcia Clark during the O.J .Simpson murder trial. Part of the criticism and scrutiny that she faced as a person and as a prosecutor has been highlighted in Ryan Murphy’s American Crime Story: The People v. O.J. Simpson. But one of Clark’s major complaints in the years since the trial is that she was portrayed as someone she most certainly is not. When she spoke about the way people perceived her during the trial exclusively to People in March 2016, Clark said that she often received unsolicited feedback on how to appear softer: Talk more quietly, wear pastels, and not seem so tough. But in the interviews that she did in the years after Simpson was found not guilty by the courts, she made it clear that tough and not soft is not at all who she is. And in these videos of Marcia Clark from the past 20 years, it’s clear that she is so much more than the media every portrayed her to be. Additionally, in the interviews, Clark talked openly about what happened in that courtroom and how, she said, celebrity tainted so much of the judicial process. But what’s abundantly clear in these clips is that Clark is so much more than what the trial made her seem to be. She opens up about the personal strife she was dealing with in the middle of the trial, her marriage, her children, and the sexism that ran rampant in that courtroom. She comes across as careful, compassionate, and incredibly generous. And while it makes sense that Clark would come across as unfeeling in the courtroom — in one video she says that that is the job of a prosecutor, to not show any feeling or to reveal any of her cards — I’m glad that Clark has spoken out on a number of occasions since the trial to show the world the kind of person she really is. Just take a look at these impressive interviews and see for yourself.